Want to drive quality traffic to your landing page to boost your conversions? Getting enough quality visitors is not always easy, many visitors land on your landing page just to boost your bounce rates. 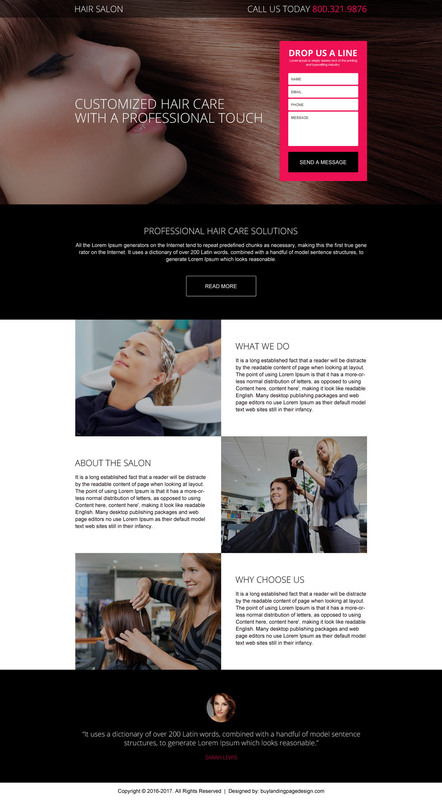 Our clean, appealing and high-quality hair care landing page designs will help you to capture quality leads and boost your conversions effectively. 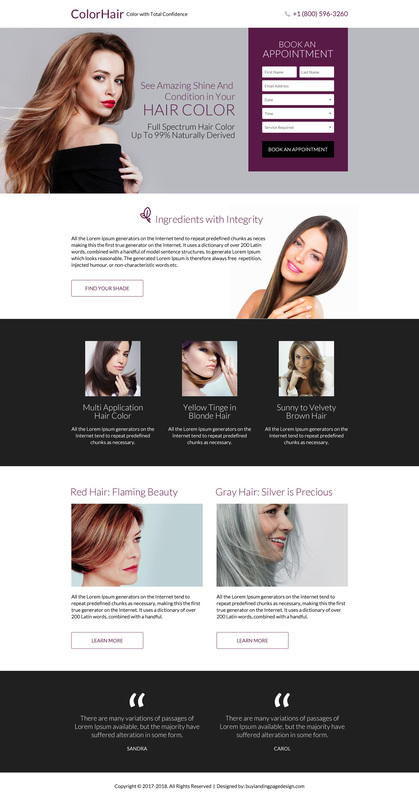 Boost your hair care product sales and hair care solution services conversion online with our responsive hair care landing page designs.